Service Life: Repair service for A & QnA Series products ran until 2013 or until parts/components become unavailable. Migration Info: The A & QnA Series are succeeded by the Q Series. In most cases there is an equivalent Q Series configuration that will offer the same capabilities. There are a variety of adapter tools that will assist the transition. Please contact MPAC to discuss available migration options. Background: The AnS & QnAS Series was first released in 1990 and has served as a reliable programmable logic controller for many customers for over 20 years. In many cases, systems installed early in the product lifecycle continue in daily use today. Despite continued usefulness and high reliability, it is time to consider transition as many of these systems have reached the calculated useful life. Service Life: Repair service for AnS & QnAS Series products will continue until 2021 or until parts/components become unavailable. Migration Info: The AnS & QnAS Series are succeeded by the Q Series. 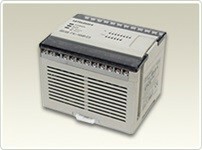 In most cases there is an equivalent Q Series configuration that will offer the same capabilities. There are a variety of adapter tools that will assist the transition. For complete details of what steps are required to transition to a Q Series system, please contact MPAC to discuss available migration options. 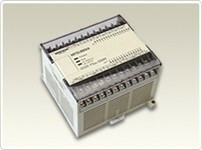 Background: Released in 1990 the FX Series represented a significant design change from existing PLCs. The footprint of the hardware was dramatically reduced, allowing FX PLCs to be used in new applications and industries. Additionally, communication ports with standard connectors were also introduced, enable increased connection capabilities. 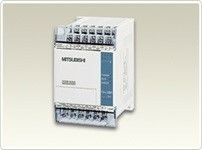 The FX Series includes the FX, FX2, FX2C, and FX1 PLCs. 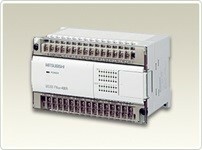 Migration Info: Depending on I/O requirements the FX3G, FX3U or FX5 PLC platforms should be used in place of an FX PLC. None are a direct drop-in replacement in terms of wiring or dimensions, but very similar. FX PLCs can be programmed using the same software as the FX3G and FX3U, but some review is necessary to ensure that all functions of the program are migrated successfully. Please contact MPAC to discuss available migration options. 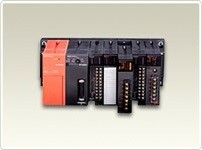 Migration Info: In most cases the FX3S PLC should be used in place of an FX0 PLC. If programming memory is a concern then consider using the FX3G. The FX3S has the same I/O configurations as the FX0, but wiring and dimensions are different. FX0 PLCs can be programmed using the same software as the FX3S, but some review is necessary to ensure that all functions of the program are migrated successfully. Please contact MPAC to discuss available migration options. Background: The FX0N presented an additional option for users who were looking for a larger I/O count, but only needed limited functionality. The FX0N still contained many advanced functions and the ability to connect to special function modules to add analog, communications, and other functionality. 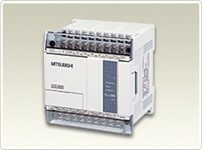 Migration Info: The FX3G PLC should be used in place of an FX0N PLC. The FX3G has the same I/O configurations as the FX0N and the terminal blocks can be removed from the FX0N and placed in the FX3G, so no additional wiring is required. FX0N PLCs can be programmed using the same software as the FX3G, but some review is necessary to ensure that all functions of the program are migrated successfully. Please contact MPAC to discuss available migration options. 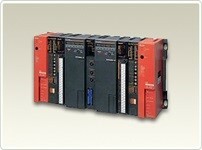 Background: The FX0S provided yet another low-cost option for basic PLC control with a wide variety of different I/O size and power options. 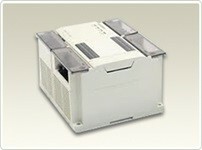 Migration Info: The FX3S PLC should be used in place of an FX0S PLC. 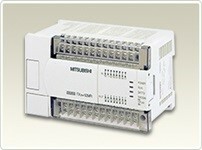 The FX3S has the same I/O configurations as the FX0S, with wiring and dimensions being very similar if not identical. FX0S PLCs can be programmed using the same software as the FX3S, but some review is necessary to ensure that all functions of the program are migrated successfully. Please contact MPAC to discuss available migration options. Migration Info: Currently the FX1N PLC is still available for existing users, but the FX3G PLC should be used in place of an FX1N PLC. The FX3G has the same I/O configurations as the FX1N and the terminal blocks can be removed from the FX1N and placed in the FX3G, so no additional wiring is required. FX1N PLCs can be programmed using the same software as the FX3G, but some review is necessary to ensure that all functions of the program are migrated successfully. Please contact MPAC to discuss available migration options. Migration Info: The FX3S PLC should be used in place of an FX1S PLC. The FX3S has the same I/O configurations as the FX1S, with wiring and dimensions being very similar if not identical. FX3S PLCs can be programmed using the same software as the FX1S, but some review is necessary to ensure that all functions of the program are migrated successfully. Please contact MPAC to discuss available migration options. Background: Released in 1997 the FX2N provided major advancements in processing speed and functionality with new options for complex mathematical calculations and data processing. The FX2N also added new expansion options for Ethernet communications, analog and temperature control, and high-speed positioning. The FX2NC provided an ultra-compact option for tight spaces. Migration Info: The FX3U, FX3UC or FX5 PLC platforms should be used in place of an FX2N or FX2NC PLC. The FX3U has the same I/O configurations as the FX2N and the terminal blocks can be removed from the FX2N and placed in the FX3U, so no additional wiring is required. FX2N PLCs can be programmed using the same software as the FX3U, but some review is necessary to ensure that all functions of the program are migrated successfully. Please contact MPAC to discuss available migration options.